Online users, be aware of the "British International Express Courier" or "British Express Courier" scam. Recipients of the "British International Express Courier" or "British Express Courier" emails like the one below are asked not to follow the instructions in them. The fake emails are being sent by lottery scammers claiming their potential victims' so-called lottery prize or parcel are ready for delivery. The scammers create a fake courier website called "bicexecs .com" used to trick potential victims into paying for so-called delivery and insurance fees. Once the scammers receive their victims' money, they will take it and disappear, leaving the victims without the parcel they were promised and feeling depress because they were robbed and taken for a fool. address which will be stated by you. 217 Buchanan Street Glasgow G1 2JZ United Kingdom. About British International Express also known as British Express Courier was launched in 2009 in response to increased demand for convenient, flexible and affordable consumer delivery solutions. British Express is a global leader in security-related services for banks, financial institutions, mines, retailers, diamond and jewelry industries, pharmaceuticals and a variety of other commercial and governmental customers. From armored transportation to cash management, our services also include money processing, long-distance transport of valuables, vaulting and other value-added solutions. We deliver innovative services and solutions that contribute to critical business intelligence, improved productivity and enhanced security. Earlier this year, British International Express Parcel Locker was also introduced to enable parcels to be sent 24/7. The service is available in more than a 100 conveniently created drop off points, including local supermarkets, petrol stations and shopping centers. British Express is founded on a heritage of trust and a reputation as the most reliable name in the industry. We currently employ over 70,000 people worldwide, serving customers in more than 100 countries. Today, thousands of companies across the globe entrust British Express with their most precious assets. We rate our charges depending on the high sensitivity of the package to be delivered. Our regular door to door service for both documents and non-documents delivery guarantees all documents delivered to anywhere in the world by our delivery agent. delivery of your Parcel. This is to protect winners and to avoid misappropriation of funds. that a copy of identification of our delivery agent will also be sent to you via mail, to enable you know the delivery agent that is delivering your parcel to you. This is one of our safety precautions measures during delivery and your delivery is 100% secured. Also be informed that when the delivery man arrives at your address, you have every right to instruct our delivery staff to follow you to your bank of choice and make sure your Bank Draft is cleared before he returns back to England. Please note that all business with British Express Courier Services is conducted strictly upon the terms of our Standard Trading Conditions which prevail over any other contractual arrangements. I just got from British courier for my parcel but what worries me is that I should pay R3000 for delivery. I don&apos;t understand that. It is a scam being sent by thieves who are trying to rob you. Ignore them. Hi, my friend sent some stuffs to me. He even gave a tracking number. He even sent me the receipt he collected. I just want to know on your part if this is FAKE or SCAM? I was notified as the winner of £946,000.00 GBP in an online e-mail beta test which my e-mail address won the grant like a customer this year. After several emails, they confirm that I comply with the requirements, obligations and verifications as a winner by Empowr Corporation Board (UK). It is a scam, do not pay the money. OK I&apos;m not sending any money ..I Wonder my husband send a friend to British courier in Capetown they showed him my parcel and they have deposited my money to wrong bank, not My account ...its sad that you work like this ..they are keeping my why? Hi,I&apos;m in south Africa; my husband send a parcel to me from Italy after 2 days I received a call from British courier service south Africa. 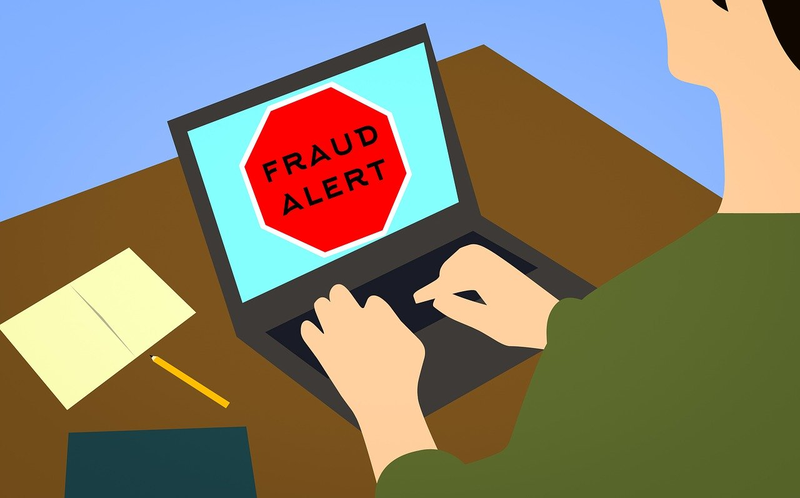 You have been scammed by online scammers or cyber thieves. Do not send anymore money. I just got the same email. first it was Google cooperation award that needed to be claimed. After I gave them my detail for the claim, they now want me to contact this execs to verify and deliver my parcel. After confirming my identity, they want me to confirm the money for delivery. I just wanted to google to see if they are real when I stumbled onto this link. thank you so much for this information. Now I know they are scammer og cant get one coin out of me.